Info Percy Maxim Lee - president of the League of Women Voters from 1950 to 1958. Lee was born in Hartford CT on 7/4/1906. 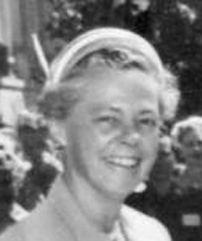 She was elected to the national board of the LWV in 1944, after which she founded the LWV Education Fund, the educational arm of the organization. Lee moderated the two-party presidential primary debate in 1952. She also served as president of the LWV's Overseas Education Fund (1959-1964). Lee died in Mystic CT on 11/9/2002.